This guest article comes from Odysseas Papadimitriou, CEO of Card Hub, a leading online marketplace for finding the best credit card deals. Quick, without looking at your statement: How much available credit is left on your credit card account? Perhaps you know an exact figure, maybe you have a rough idea, but I’d be willing to bet that most consumers certainly wouldn’t feel comfortable using a credit card to make purchases not knowing just how much they have to spend. For this very reason, you may want to steer clear of No Preset Spending Limit (NPSL) credit cards and charge cards. While people often forget about the “P” in the above acronym and think that NPSL credit cards do not have monthly spending limits, they are unfortunately mistaken. There is no such thing as an unlimited credit card. There is, however, something unusual about NPSL cards. Unlike most credit cards—which from Day 1 have well-communicated credit limits—NPSL cards have limits that are determined on a monthly basis, depending on things like the general state of the economy as well as the cardholder’s credit score and spending/payment habits. Not only that, but these monthly limits aren’t even communicated to either the cardholder or the three major credit bureaus. Why would a credit card company intentionally keep a customer’s limit secret, you might ask? Well, it’s quite simple actually: to add to the illusion that NPSL cards are indeed limitless. This semi-well-kept secret has played a big part in making American Express charge cards as well as Visa Signature and World MasterCard credit cards some of the most popular products for people with excellent credit. People using NPSL cards should have two primary concerns: having purchases get unexpectedly declined at the point of sale and credit score damage. When you don’t know your credit card’s limit or you aren’t even aware that it has a limit to begin with, you’re bound to run into usage problems. This could certainly prove problematic if, for example, you head to Best Buy with the kids to buy a new TV and your excitement is brought to a screeching halt when the transaction is declined at the checkout counter. What’s more, it would be pretty tough to keep your credit utilization (the ratio of your spending to your available credit) low, which is where creditors want it, if you don’t know exactly how much credit you have to your name. Credit scoring agencies have the same problem, as issuers often provide them with misleading information about their NPSL cards, making it difficult to calculate accurate credit scores. You see, credit utilization—which is calculated for each credit card you have as well as for all of your cards combined—is a key component of the “Amounts Owed” section of one’s FICO score, the most commonly used credit score in the U.S. And rather than simply reporting the actual credit limits they give their NPSL customers, some card issuers relay proxy limits, while others either provide a customer’s high account balance over a certain period of time or don’t even report credit limits at all. Given this habitual dissemination of inaccurate information and the fact that each issuer does not rely on a single method of NPSL card reporting, it’s often next to impossible to predict how a given NPSL card will impact your credit standing. In case you were wondering, NPSL cards don’t have much of an upside. 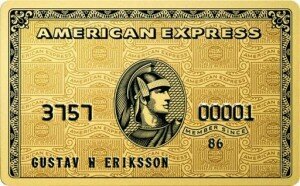 As we’ve learned, these cards aren’t unlimited, and while the lack of a set limit may lead to optimism that you could be afforded additional spending power “next week,” that’s certainly outweighed by the uncertainty, inability to spend confidently, and potential for credit score damage that are also byproducts of NPSL card use. It’s therefore probably in your best interest to steer clear of these cards for the time being. There are plenty of credit cards for people with excellent credit that provide equal or better rewards or whatever perk you’re interested, so why settle on a card that will only maximize your headaches?